The first day of the conference was mostly devoted towards getting people registered and settled into their hotel rooms. Because of this, the schedule for the day was pretty open, although there were a number of city tours on offer. Iman and I signed up for a “Neighborhoods Tour,” but it didn’t start until 1:30 pm. Since the two of us had quite a bit of time to kill until the tour, we decided to spend the first half of the day walking around the nearby area. 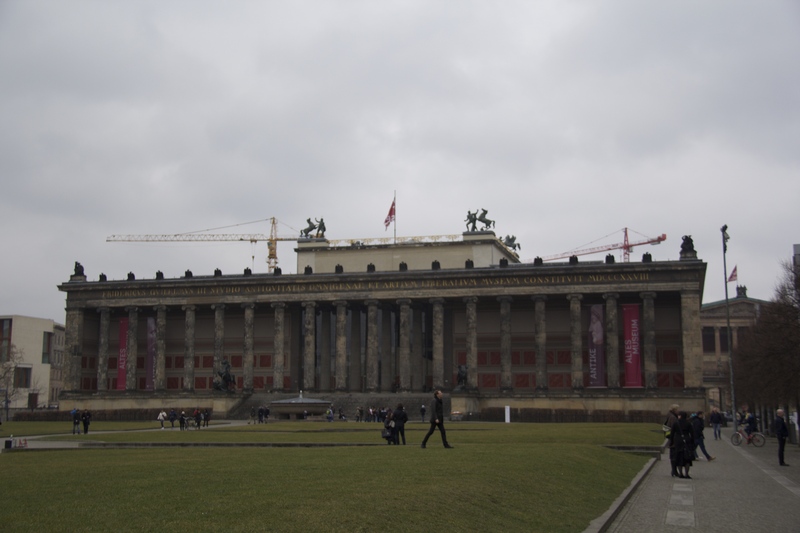 We had originally decided to go to Museum Island to look at either the DDR Museum or the Berlin Cathedral, but because we weren’t in any particular hurry, we made sure to stop and appreciate the nearby sights. One of the biggest ones was the Fernsehturm, or TV Tower. Neither of us had any interest in going up, but we took our fair share of pictures. 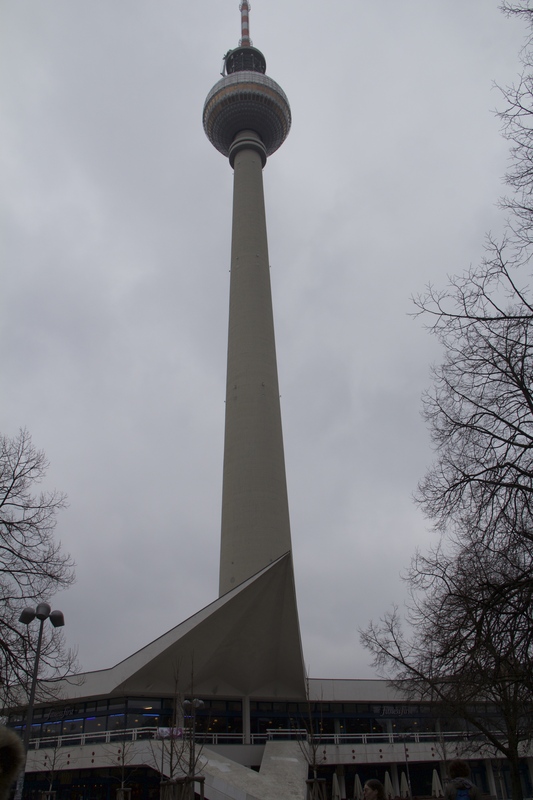 The TV Tower was an iconic landmark of East Berlin and was completed in 1969. 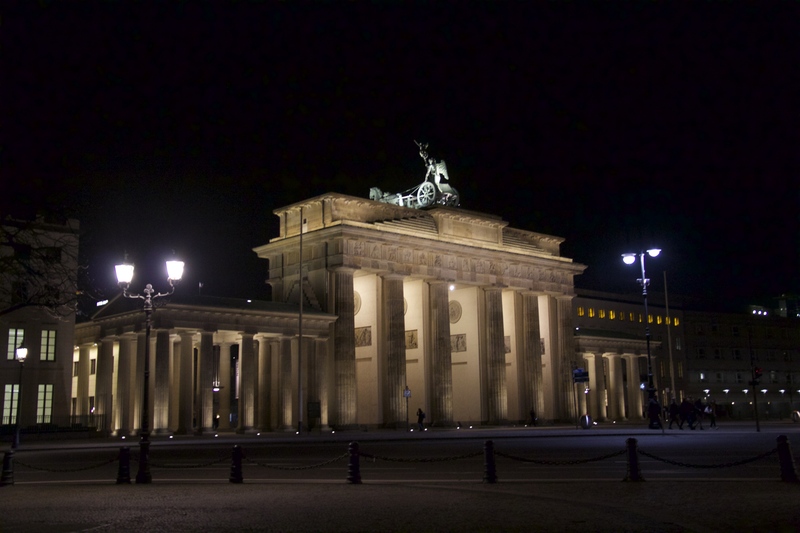 To this day, the tower still dominates the Berlin skyline. 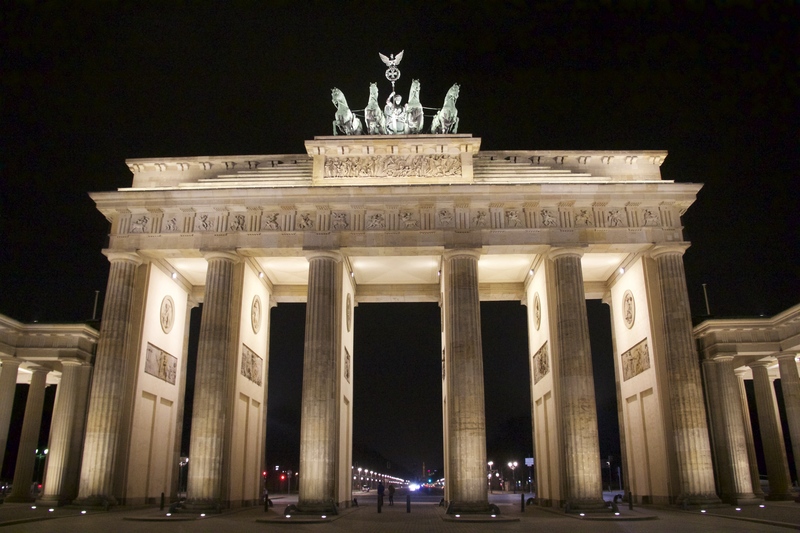 The tower was originally supposed to demonstrate the strength of the GDR, and although it did demonstrate their engineering prowess, it also became a bit of a joke. 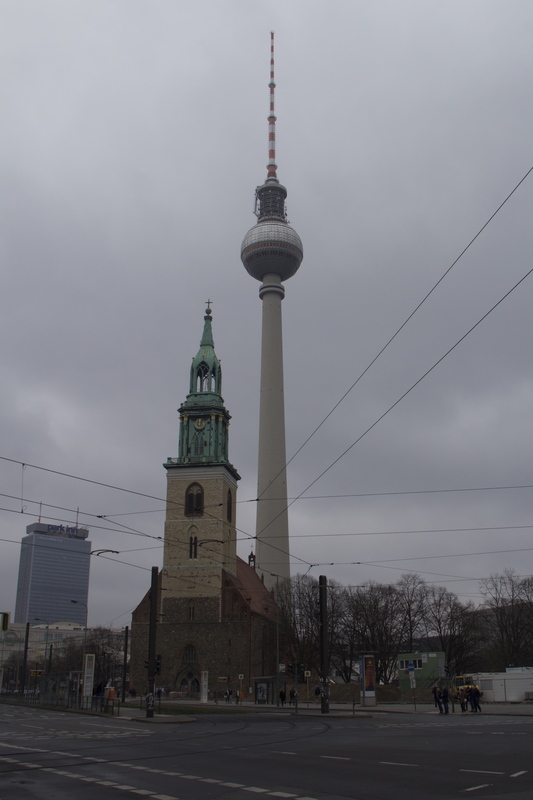 The Fernsehturm was purposefully built near the Berlin Cathedral. The idea behind this was that it would demonstrate the triumph of the people and atheism over the church. When you first see these two buildings you might think that the GDR accomplished their goal; however, when the sun strikes the tower the antenna produces the reflection of a giant cross. This was later dubbed ‘the Pope’s revenge,’ and made the GDR a bit of a laughingstock. 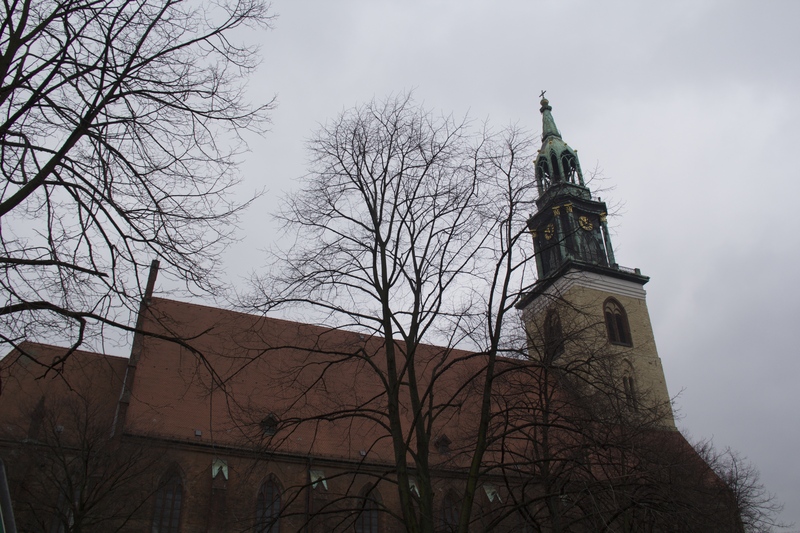 We also paid a quick visit to Marienkirche, one of Berlin’s oldest churches. It was finished in the 13th century and you’re able to see some medieval frescos when you enter the church. The church wasn’t anything particularly special, but it was still nice to enter such an old building. 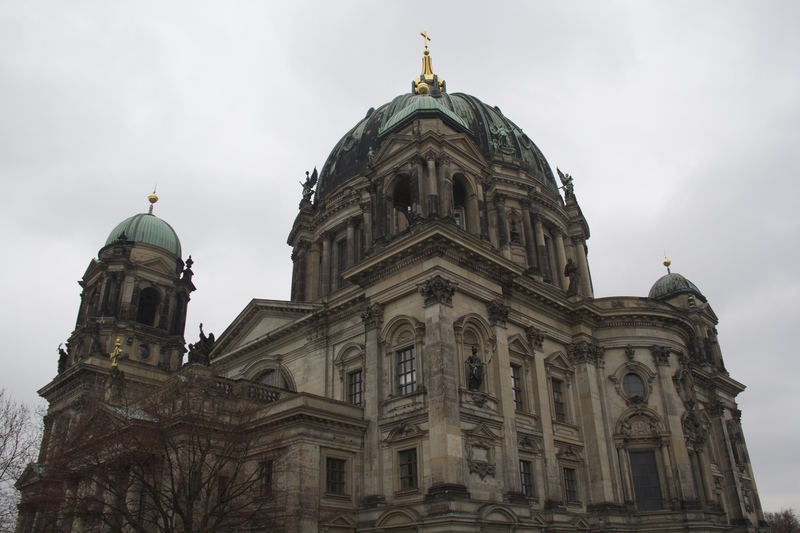 From there, we continued walking towards the Berlin Cathedral. Just outside the cathedral, we ran into two other Italian Fulbrighters, two Jenny’s from Naples. I soon learned that in Italy they distinguish themselves by calling themselves Blonde Jenny, or Jenny Bionda, and Brunette Jenny, or Jenny Bruna. 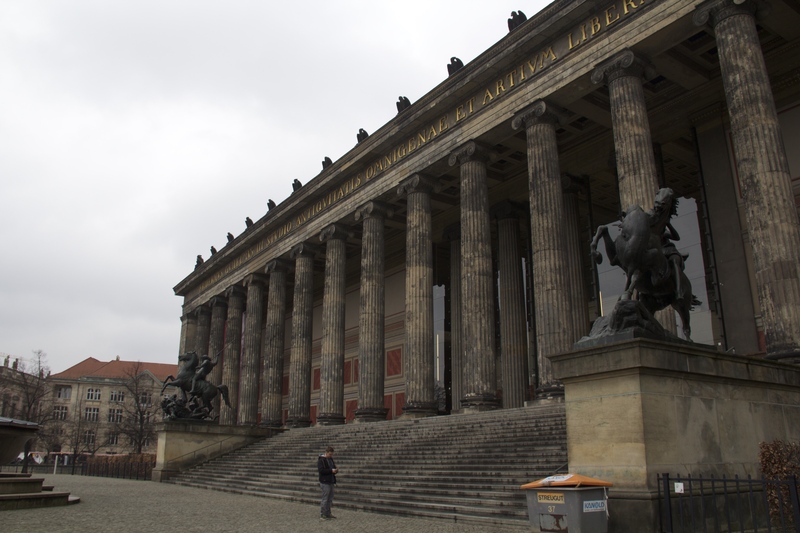 It just so happens that Jenny Bionda is an archaeologist and was intent on going to the next door Altes Museum. Iman and I decided scrap our plans to go to the Cathedral and to tag along with the Jennys to the Altes. 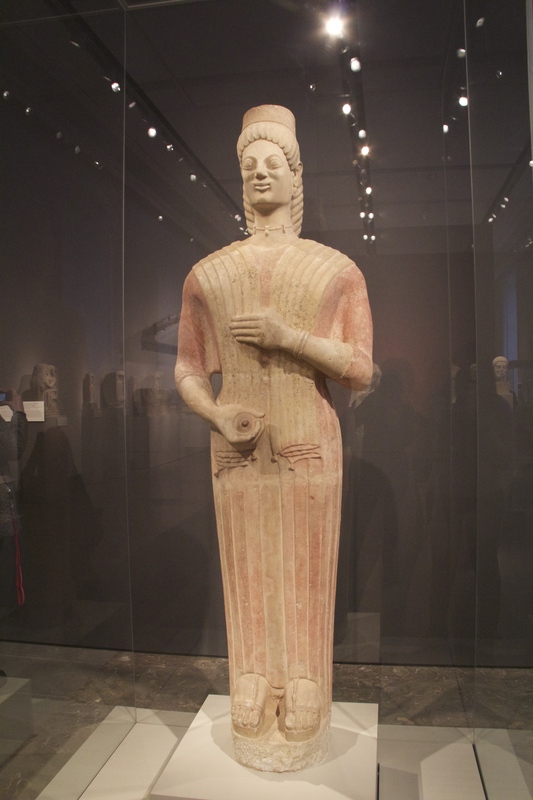 The Altes Museum specializes in Greek, Etruscan, and Roman art, so it’s filled with ancient statues and ceramics. For me, this kind of art is a bit out of the ordinary, but hardly something new for the Italian Fulbrighters. 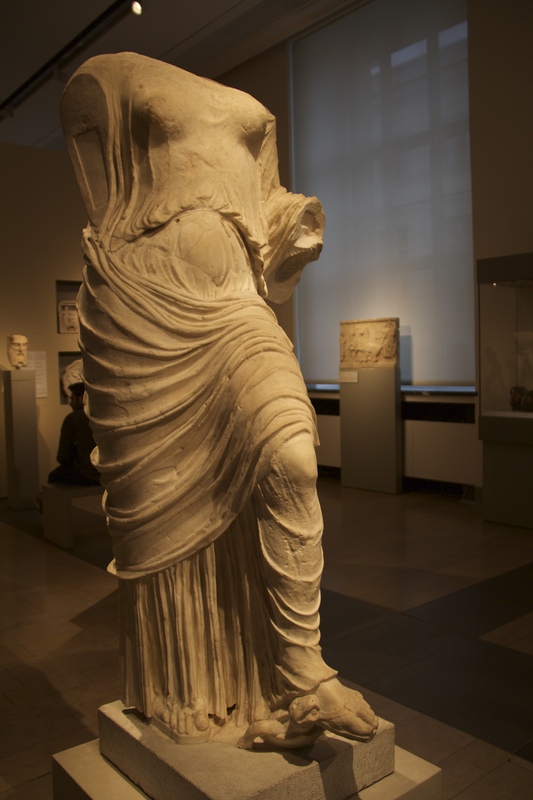 In the words of Jenny Bruna, “we see Roman art in Italy, and when actually we leave Italy…we still go and see Roman art.” I’m not a huge Greco-Roman fan, but it was great to walk around the museum with Jenny Bionda and ask her questions about the various pieces that she was looking at. 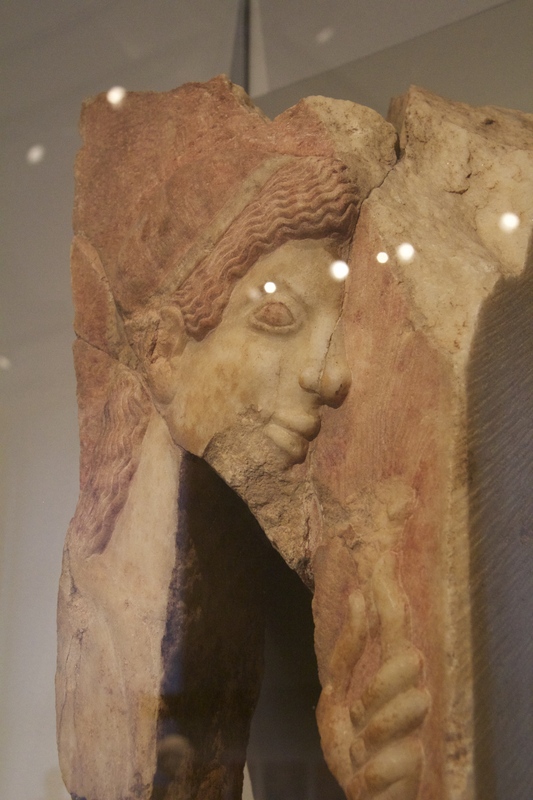 Again, Greco-Roman art isn’t something that I’m particularly fond of, so I wasn’t too heartbroken when we had to leave the museum early to catch our tour. Iman and I had signed up to go on the “Neighborhoods Tour” since we were told that it would focus on showing us some of Berlin’s more diverse neighborhoods. Unfortunately, almost as soon as we boarded the bus we were told that our tour guide wasn’t going to be able to make it. 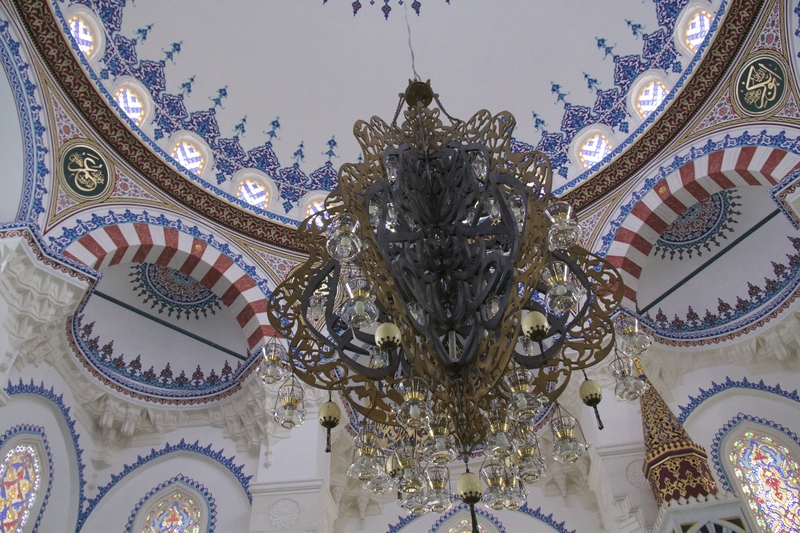 Because we lacked a proper tour guide, the tour didn’t prove to be too informative, but it did pick up a bit when were arrived at the Şehitlik Mosque in Neukölln. The mosque provided us with a proper tour guide who gave us an overview of the mosque’s history, the architecture of the mosque, and an overview of Islam. I’ve had the good fortune to have been to several mosques before to this, so I found most of the information old hat. 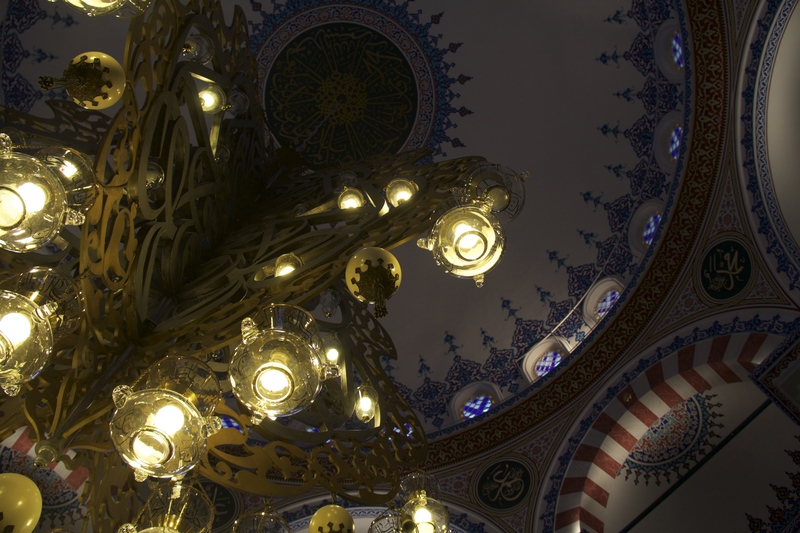 That being said, the mosque was still beautiful, and I enjoyed learning a bit more about its history. The land that the mosque rests on is actually the property of the Turkish government, and was originally set aside to be used as a Muslim cemetery. We were told that traditionally Muslims should be buried in a Muslim cemetery, which presented the Germans with a bit of a conundrum in 1798 when no such cemetery existed and their Ottoman ambassador died. Because travel was much more time intensive in the eighteenth century, the King ended up allocating this particular plot of land to be a Muslim cemetery so that the ambassador could be buried properly instead of being shipped back to the Ottoman Empire. 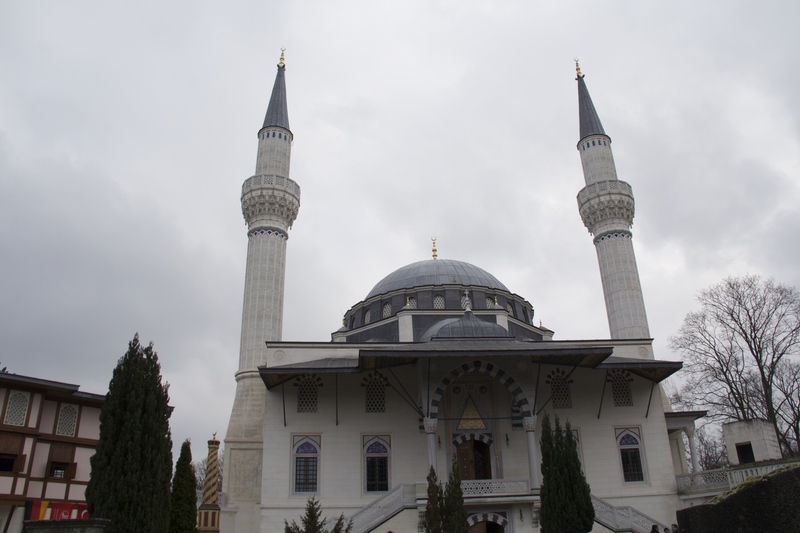 The land was eventually given to the Turkish government, and a number of prominent officials have been buried here. The mosque and cultural center were added to the property in later years. After the mosque, we returned to the bus and made our way back to the hotel. Now because alcohol is prohibitively expensive in Norway, the seven Norwegian Fulbrighters who were able to make it to the conference decided that we should all get beers before dinner. Lucky for us, there was a beer garden, a Hofbräuhaus, right next door to our hotel. It was definitely the toned down version of the Hofbräuhaus that I went to in Munich, but it was perhaps more enjoyable because of it. While we all managed to relish the fact that beers were affordable, we were not quite prepared for how much our tolerance levels had gone down since we moved to Norway. One beer in and we were all pretty pleasantly buzzed. After that, it was just a short walk back to the hotel for the welcome dinner. Again, because everything is so expensive in Norway our entire group took full advantage of the buffet and the open bar. The other Fulbrighters soon learned that the Norwegians would have a minimum of second helpings for every meal. But it turns out we weren’t alone! We quickly found some kindred spirits when we met a few of the other Nordic Fulbrighters, specifically people from Finland and Sweden. We all enjoyed bonding over how wonderfully cheap everything seems outside of the Nordic countries. But all good things must come to an end, and in this case dinner ended at 8 pm. Luckily the hotel didn’t mind us lounging around in the lobby, allowing us plenty of time to mix and mingle. 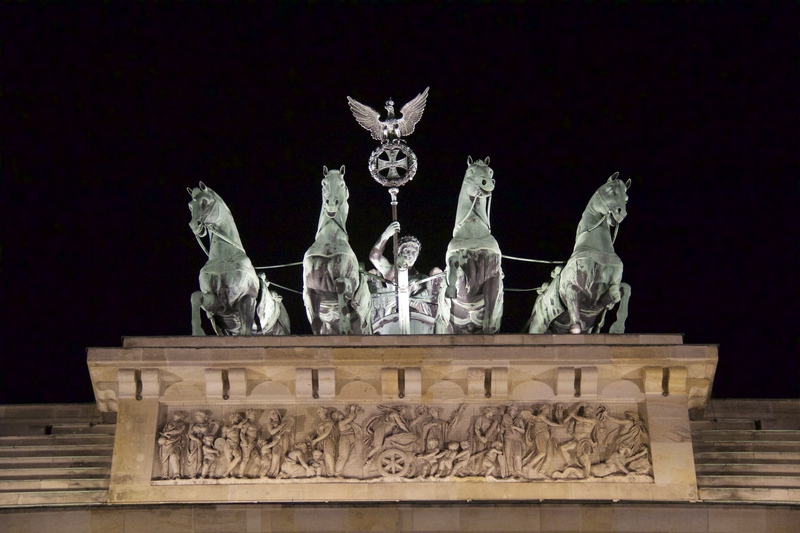 The result of this was a large group of us deciding to walk to Brandenburg gate (something we would later realize was about 1.75 miles away). But walk we did. The weather was wonderful and we ended up having a great time bonding and appreciating the landscape. Not a bad way to end the evening.